HP Tuners is an ECU tuning device. 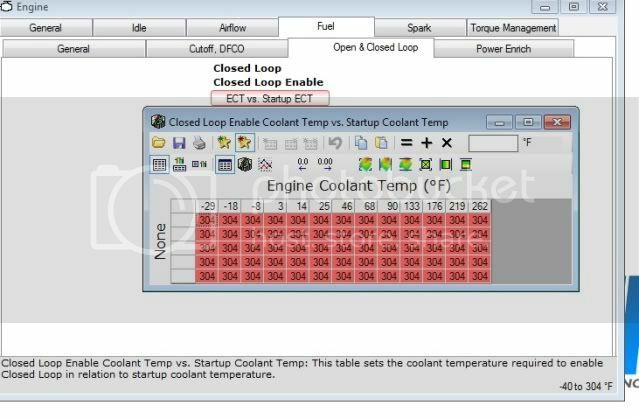 It allows you to connect to the ECU through the OBD diagnostic port underneath your steering wheel and edit the values and tables inside your ECU (also more commonly called a VCM by the HPT crew), and basically tune your car to the mods that you have. There is NO WIRING INVOLVED, unless you get an EIO (explained later), and even that isn't much of anything. What do I need to run HP Tuners? What does HP Tuners cost? What is the difference between Standard and EIO? Plugs directly into the OBD diagnostics port under the steering wheel, allows you to completely tune the editable parameters within your ECU. You can even upgrade your OS to a new version (for example, from a 2000 Standard to 2000+ GM S/C). This is done by getting a copy of the OS from somebody else and flashing it by using "Write Entire" to your ECU. This will cost you more credits, unless you own a model-year license. With our Pro interface, you can use 0-5v signals from various sensors such as EGT, Wide Band, fuel pressure and others for sensor input in our scanner. 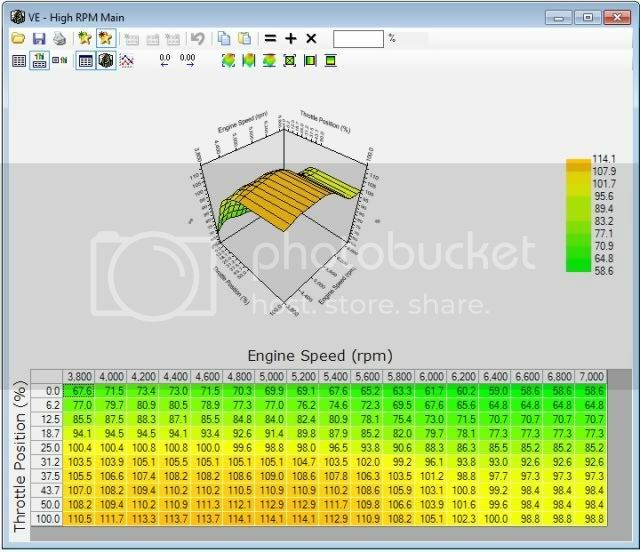 You will have real time data from those sensors right next to your standard scan tool data such as TPS, RPM, MPH, etc. Our MPVI Pro interface also has black box data logging built in. What this means is you will be able to scan your vehicle without the use of a laptop using the interfaces record button. You can then take the interface into your home to transfer the log contents from the interface to the computer. This will be available in a software update shortly. If you have an MPVI Pro it will require no hardware modification. Also note that VCM Scanner comes with both interfaces regardless as it is part of our VCM Suite package. What are the credits thing all about? Here is an entire FAQ on the credit system. Read this before asking questions. What J-Bodies do they support? Do I have to decide how to use my credits when I order? No, you decide when you use them. You can also buy additional credits later on down the line if you need them. When you connect to a new vehicle, it will ask you if you want to license the vehicle, and give you options on how to license it. Well, lets get one thing clear first. If you screw up by typing in the wrong values, you can blow up your engine, and that IS NOT HPT's fault, its yours. If you don't know ANYTHING about tuning, then you should start reading up on the HP Tuners Forum, and pick up some books on tuning EFI systems. That said, they have a wonderful feature that lets you select the "level" of things you want to see. They have 3 levels, basic, standard, and advanced. These allow you to see more and more values that get deeper into the details of the ECU. What can I edit with HP Tuners? 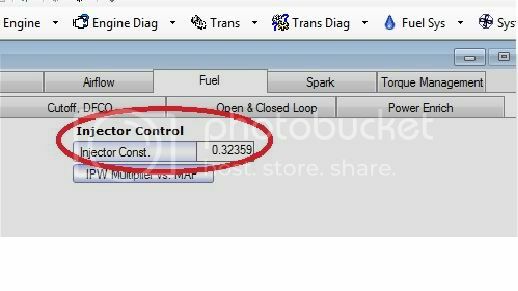 You are able to edit fueling, timing, power enrichment (PE), idle, closed loop, speed and rev limiters, transmission settings, and DTC settings and parameters. There are other tables that can be edited, but this list is just to give you an idea. Can I buy standard edition now, and upgrade to EIO later? Sure, but it'll cost you. The upgrade cost is $199 (instead of just $150 more than standard when you buy new). The reason for this is to discourage people buying standard, then later buying the EIO. HPT won't resell used equipment, and even if they did, they would still have to put time and effort into refurbishing it. They will also need to receive your cable and transfer the licenses over before sending it back to you, this is time and effort on their part. What happens if I reformat my computer, do I lose all my licenses? No, the licenses are stored on the cable, not on your computer. Many tuners install the software on multiple computers (laptop for datalogging/scanning/and downloading, then a desktop for editing). This also means that you cannot borrow a cable from a friend and use it. The cable is locked to YOUR copy of the software. Can I open/edit/and view other people's HPT files without licensing their cars? YES! Somebody can send you their .hpt file, and you can edit it, view it, but not save it unless you are licensed for that vehicle. You can also get .HPT files from other people and copy the tables of interest out of them, or flash the entire thing if you wanted to (provided your ECU hardware supports it). Can this tune 2 bar for turbo and s/c applications? Yes and no. The support WILL ONLY EXIST FOR THOSE VEHICLES THAT CAN GET THE 2 BAR FLASH FROM THE DEALER. THIS MEANS ONLY THE 2000+ LD9 WILL BE SUPPORTED. There are no plans, now or in the future, to make a custom OS for the 2.2/2200/pre 2k LD9's. That doesn't mean all is lost. You could fake a 2 bar tune with a 2 bar sensor, and just double the value in each KPA cell in each of the MAP driven tables. I highly discourage this unless you are a more experienced tuner. Please also note that doing a fake 2/3 BAR tune will only give you control over the timing tables and the idle fueling table. There are are some 97 files that were MAP based fueling, but for the most part these PCMs are TPS fueling bases (Also known as ALPHA N). Can this tune 3 bar for turbo and s/c applications? There is no planned support planned for 3 bar OS's for any J-Body application. You can fake a 3 bar tune however, just as explained above, only the values would be increased by .3 for each axis for those with the 2 bar tune (100kpa would now be 133 kpa), or times 3 for those who are using a 1 bar tune (100kpa would be 300kpa). In my honest opinion, its NOT worth it as too much resolution is lost, and driveability more than likely will suffer. If you are too lazy to go to the hp tuners site or you are too lazy to read through the hp tuners forums then don't bother posting your questions in this FAQ. Take some initiative and at least try to look things up for yourself. Ok, now that you have your HPT software, its now time to TUNE! There are some basic things that we need to start with. •	Always make sure your laptop battery is fully charged, and NEVER use a power inverter. Damage can be done to the HPT box, and this will void your warranty with HPT. •	Always make sure your vehicle’s battery is fully charged and in a good state before flashing or reading your PCM. Failure to comply can result in a bricked PCM, and a non running vehicle. •	Make sure you check your local laws about open laptops in a vehicle. You get a ticket, its not my problem! •	Don’t bite off more than you can chew. Chances are if you’re reading this and using this as a guide to get started, you may still need some help. It has been proven that even some of the most well respected shops, and most seasoned tuners in the industry don’t fully understand how the Jbody PCM works, and can royally screw one up. I have seen this MANY times. 1. Connect your HPT cable to your ALDL port under your dash, and the USB plug into your laptop. 2. Turn your ignition key to the ON position. Do NOT start the car. Make sure all electrical loads are turned off. 3. Open up your HPT Editor. This is the icon with the Wrench. 4. Once the Editor is open, go to the tab marked FLASH. Select READ ENTIRE. You can also Use CTRL+R. 5. Make sure the tab next to High Speed is checked. Next click BEGIN. While the PCM is being read, make sure not to disturb anything. This process will take a few minutes. 6. After the PCM is read, SAVE a copy of the file and label it STOCK. Make sure you do NOT write over this file as you may need it in the future. 7. Turn your ignition OFF. There are two ways to write to the PCM. Write Calibration ONLY, and Write Entire. The ONLY time you should do a WRITE ENTIRE is if you are changing Operating Systems (OS). An example would be if you are flashing the GM LD9 S/C Reflash on to your car. 4. Once the Editor is open, go to the tab marked FLASH. Select WRITE CALIBRATION ONLY. You can also Use CTRL+W. 5. Make sure the tab next to High Speed is checked. Next click BEGIN. While the PCM is writing the calibration, make sure not to disturb anything. This process will take a few minutes. 6. After the writing is complete, turn the ignition to OFF. Do NOT try to immediately start the car. This is the meat and the potatoes of tuning. There are many ways of making changes, and many changes can be made. There are arguments on who/what is right, and who is wrong. I am going to show you the way I do it. Others may disagree, I really don’t care. Here are the basic steps to get you started. We are going to start off with fueling. The injector constant is the heart of the fueling. 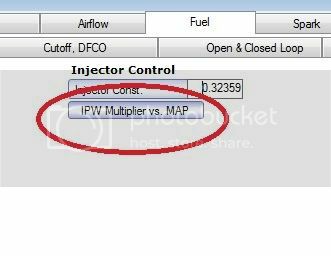 This is what tells the PCM what size injectors you are using. The formula to get the correct constant is (old (or) stock injector flow / new injector flow)*old injector constant = new injector constant. For example, the GM LD9 S/C Reflash uses 310cc injectors. The stock injector constant is .32359 . Lets say you want to throw a set if 440cc injectors in. (310/440=.70454) *.32359 = .22798 . This also works in lb/hr. You will see these numbers different on each OS. To start out, make all the settings equal to 1.0 . These may or may not need changing later. The values in this table determine when Closed Loop is enabled. The “proper” way to tune is while in Open Loop (OL). The reason for this is because when the PCM is in Closed Loop (CL) , fuel trims take over and try to command a constant Stoich Fuel Mixture. Unfortunately, we do not have access to all the necessary fuel tables, such as Commanded Stoich, and modifiers for Commanded Stoich. What you may notice in your scanner, is that the Commanded AFR will be richer than 14.7 . This has been hit or miss depending on Operating System (OS) and from car to car. In the event that your Commanded AFR commands a richer than Stoich condition and will not command a Stoich condition, you can tune in Closed loop operation. In the beginning, I was against this as it is not the “norm” and I had never had to tune a PCM in this manner, but after a lot of research, along with real word data from trial and error, I can say that this will work. Also, if tuning in OL, after tuning is completed, make sure to put settings back to stock or modify them to your liking or needs. While tuning, you want to disable DFCO so your scanner does not pick up skewed data. Once tuning is complete, put these settings back to stock, or modify them to your liking or needs. PE mode will be delayed until the RPM is met. Most people set it to 0. Depending on what I am working on will depend on where I set this. Use common sense! 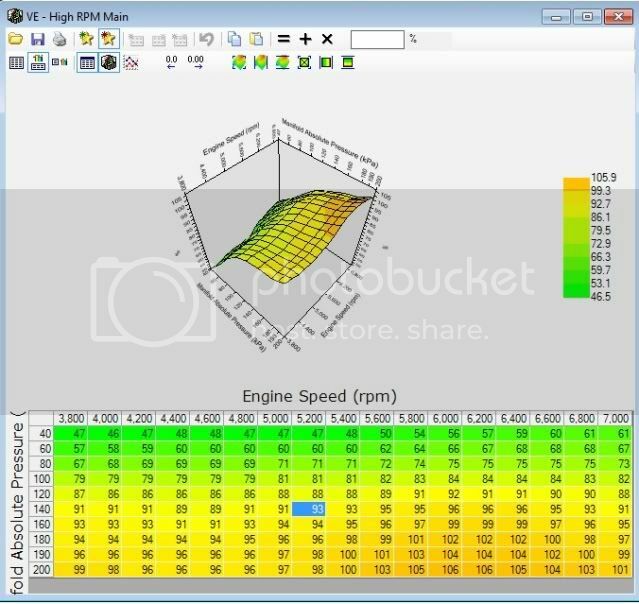 These values are a correlation of RPM and Throttle/pedal position. Pretty self explanatory. PE will also be delayed until this criteria is met. This is one of table I see most people screw up. Most people just don’t have an understanding on what these values mean. When in PE, the values here are what the Target* AFR is for that coolant temperature. Just because you put a value in plot, does NOT mean this is what the AFR will be. This table is simple a Target Command. This table, like the PE Base vs ECT is even more not understood by people. This is simply just a modifier table for the PE Base vs ECT. For example, If I have a commanded target value of 11.8 in the PE Base vs ECT table and I want to command an 11.6 at higher RPM, I would take 11.6/11.8 = .98 and enter the .98 at that RPM cell. The lower the number, the richer the target. The VE tables are where the ACTUAL fueling changes are made. These tables are either TPS based (Alpha N) or MAP based (Speed Density). All Idle VE tables will be MAP based. It is important to not have choppy VE tables. It is also important to have smooth transitions between the tables from cell to cell. The bigger the number, the more fuel that will be added. Volumetric efficiency (VE) is typically defined as "the actual amount of air being pumped by the engine as compared to its theoretical maximum." Basically, VE is a measure of how "full" the cylinders are. As most of us will know from basic science, gas will expand to fill its container. Seemingly, that would suggest that the cylinder is always full. And, in the pure volumetric sense, that is correct. A 0.5 Liter cylinder will always have 0.5 liters of air in it. The measure we are looking for here is air density. Now, where is this air density measured? This is one of the points of disagreement. The point at which air density is measured is crucial. Many will claim that you must take the measurement at a standard, such atmospheric density. This, however, can cause many issues with VE measurements. Forced induction cars will have skewed VE values due to the simple fact that they are forcing more air into the manifold. With more air available to the engine, it will receive a larger/more dense amount. This is not a pure measurement of the efficiency of the engine. 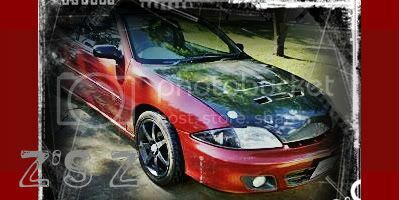 This is where the VE Offset comes into play. The VE Offset will allow you to achieve values greater than 100. The VE Offset allows you to achieve over 100% VE. What does this mean? This means that if you are boosted (Forced Induction), you can get the PCM to compensate for fueling. The important thing to remember is, if you add to the VE Offset, you MUST subtract the same amount from EACH VE table and RE-SAVE the file BEFORE you make any changes to the VE tables. Failure to do so WILL result in errors and you scratching your head trying to figure out what went wrong. If you subtract from the offset, you MUST add the same amount back to each table and RE-Save before making changes to the VE values. This is overlooked by MANY people. The Idle VE Table is used for fueling at idle. Please keep in mind that not all these cells will be used. It is still important to have a smooth translation between the cells. This table on ALL OS (Operating System) will be MAP based. This table can also be referred to as “Batch Fire” mode. Due to our lack of criteria tables, there is no said time that this table will be used. Most of the time I work on the Single RPM table and copy it over to this table. This is the main cruising/drivability fueling table. This table will be TPS or MAP based depending on your Operating System. If you are fortunate enough to have a MAP based table, transitioning between all the VE tables is much easier. If you are running a TPS (Alpha-N) OS, don’t give up. It will more than likely take some more time to get this table smoothed out, but if done properly, the results can be amazing. This is where all the fueling for 3800 RPM and above is done. 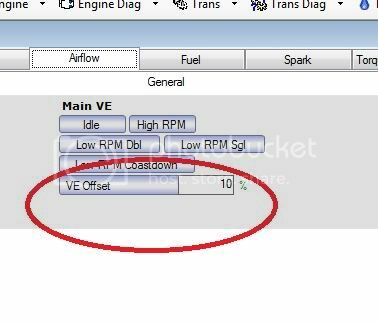 The VE Offset really helps you take control of this table in Forced Induction applications. As stated before, if you are fortunate enough to have a MAP based table, transitioning between all the VE tables is much easier. The TPS (Alpha-N) has some major gaps in it, especially between 50% TPS to 100% TPS. As stated before, this may take some time to smooth out, but great results can be achieved. If you are fortunate to be using the MAP based OS, you will not need to make any changes to this table at all. Due to the fact all your VE tables are MAP based, your transitions between cells does not require this table at all. 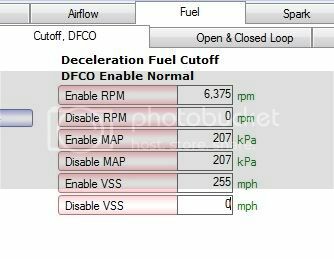 If you have an Alpha-N OS, this table will control fueling while decelerating. No major work should be needed, but it helps smooth out rich/lean spikes while decelerating. To my knowledge, the LN2 and the LD9 PCMs never got this table, only the ECO PCM’s did. I have personally never needed to modify the table values, so I do not recommend changing them. Timing can make or break an tune, and an engine! Not enough timing can cause loss of power, too much timing can cause detonation. Detonation, also known as Knock or Ping, can and will cause catastrophic failure to an engine. It is best to make timing changes on a dyno, as you will know where your peak horsepower and torque are at a maximum. Just because your can keep adding timing without getting any knock, it does not mean your making more power. You could actually be making too much cylinder pressure and causing damage also. 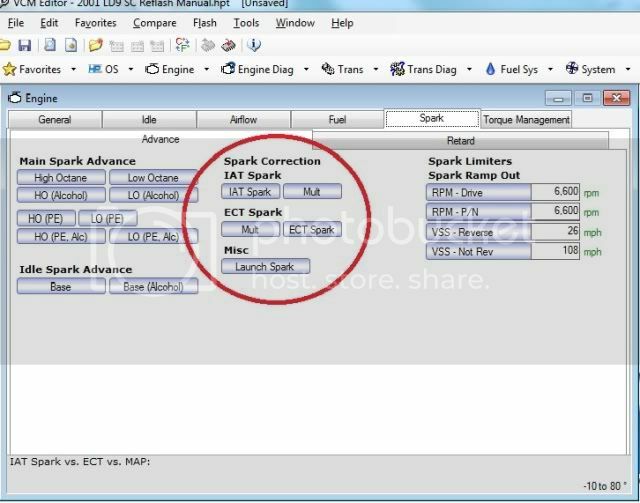 Depending on your OS, you will have either 4 Main Spark Tables, or 8 Main Spark Tables. Only 4 are actually used. If you have 8, the 4 tables labeled ALC (or Alcohol) are not actually referenced. What you should do is match each table to its corresponding non-alcohol table. These are the tables where the main idle and cruising timing is taken from. As long as you are not in Power Enrichment (PE) mode, the timing values in these tables are used. The best method to use is to MATCH both tables. Simply copy the High Octane Table to the Low Octane Table. Do all your work in the High Octane Table and immediately copy it to the Low Octane each time. When you are done, simply highlight the Low Octane cells and subtract 3-6 degrees from the whole table. What this will do is allow for a safety cushion in the event that a lower octane fuel is used, or knock becomes present. These tables are used while in Power Enrichment (PE) mode. Basically when you are at WOT (Wide Open Throttle), these values will be used to determine timing advance. The best method to use is to MATCH both tables. Simply copy the High Octane Table to the Low Octane Table. Do all your work in the High Octane Table and immediately copy it to the Low Octane each time. When you are done, simply highlight the Low Octane cells and subtract 3-6 degrees from the whole table. What this will do is allow for a safety cushion in the event that a lower octane fuel is used, or knock becomes present. 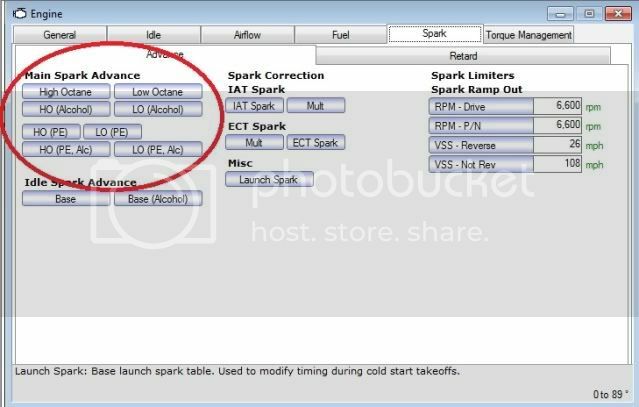 There are a few different spark modifiers that are available to us in this PCM. ECT based and IAT based. These modifiers can add or subtract timing advance based on the criteria of the cells you need modification to. For example, if your IAT (Intake Air Temps) are getting sky high due to non-efficient hardware, or extreme weather conditions, you could command the timing cells to retard by modifying the values in the appropriate cells. The same can be done for ECT (Coolant Temp). I prefer to zero out all the tables while tuning, then either put stock values or custom values back in when finalizing the tune. •	To prevent overstressing the powertrain components. •	To prevent damage to the vehicle during abusive maneuvers. 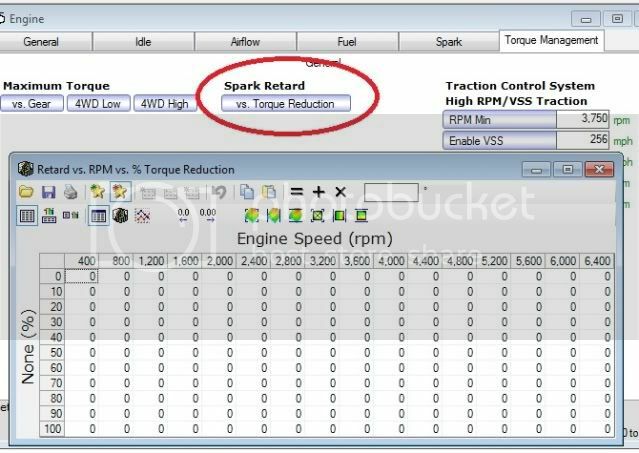 To reduce or eliminate Torque Management, simply reduce or zero out the following table. About damn time look what happens when you dont play forza good read for sure man. I will be looking back to this for my tune very soon. Thanks. The injector constant is the heart of the fueling. This is what tells the PCM what size injectors you are using. 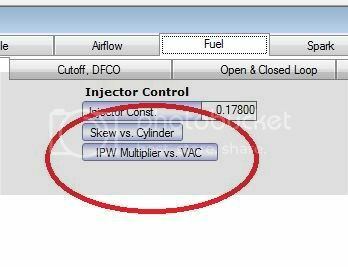 The formula to get the correct constant is (old/stock injector flow/new injector flow)*old injector constant = new injector constant. For example, the GM LD9 S/C Reflash uses 310cc injectors. The stock injector constant is .32359 . Lets say you want to throw a set if 440cc injectors in. (310/440=.70454) *.32359 = .22798 . This also works in lb/hr. I didn't read the whole thing, but this stood out. It reads kind of funny using a backslash in the middle of a formula. When this gets sticky'd, I would get rid of the "/stock" to avoid any confusion. I think "old IC * (old flow / new flow)" should be sufficient. Good stuff. This should deff help me out soon when I get cracking with HTP for the first time. So the only diff between the two versions is the pro allows you to log without the laptop hooked up and also will log a 0-5V signal? Thats it? Saweet!! Thanks for getting this done!!! Well worth the wait for all those who have requested it! Sticky icky icky icky! If ever there was something worth a sticky its this, any that thinks different, shame on you. IMO. Sorry not that I think the work Ryan did is bad, because he knows better. I just do not believe in stickies. They make the forum look cluttered. Only the 03+ eco's have the cranking VE table, us 02 guys do not. When I get a chance I'll write up the how too on closed loop tuning if you would like. How about the two HP Tuners stickies get bumped out and this one replaces it - since this write up goes into everything the other two do... and more. Then we have even less "clutter." I could go with that. I also know he hjas more to go to this when it is done. Wow Ryan. Amazing work buddy. Very impressed. Thank you sir for the hard work. Thank you sir for the hard work. Yes I agree the VE tuning procedure and histograms as well as voltage offset would be a very beneficial edition to this write up. That's the hardest part to figure out when learning to tune. Other than that awesome job! Not to say it should not be includes, but voltage offset for wideband setup can be found on HPT forum. They even have a how to on it, and a excell spreadsheet that pretty much walks you through it and does it for you. I keep it on my laptop just in case. Well yeah that is true I agree, i just meant if this were to become the site's 'HOW TO" sticky the info should be here.